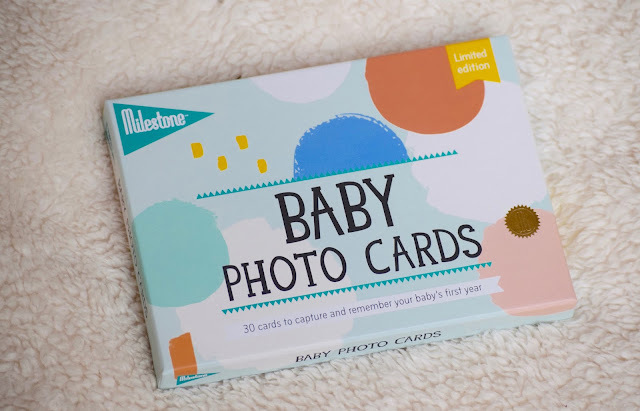 I was sent a pack of Milestone Baby Cards in exchange for a review, and all thoughts, opinions and images are my own. I always love sharing photos with you guys of what's been going on in our lives. Especially when BIG moments happen. In fact, when I was a kid I loved taking pictures of everything and having my picture taken to look back on those fond moments of childhood. After having Lily three years ago, we had slowly started to share her small milestones of 'first week' or 'first month' but then would forget due to other obligations or not thinking of anything creative for the following month. 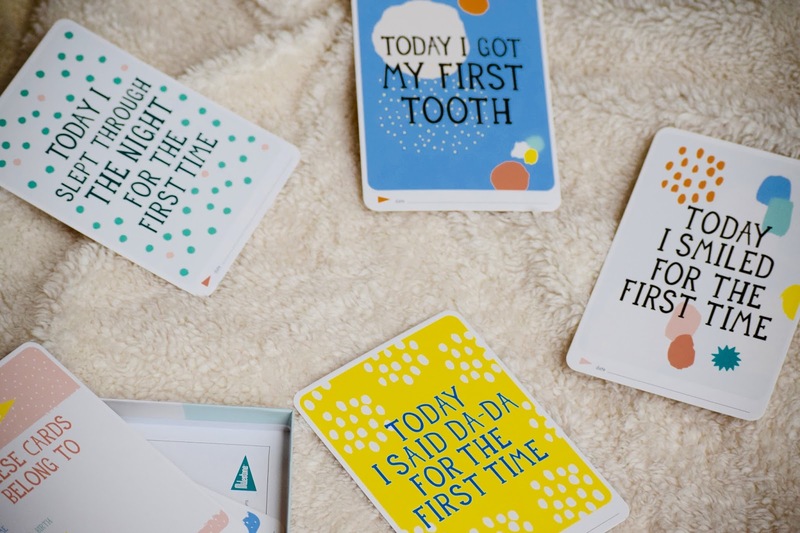 When I first came across Milestone Baby cards, I thought how simple! Each card helps to capture a key milestone in your child's life and not just '1 month old' but ' their first step' or 'first sleeping through the night' ( for Lily she began that at just 3 months old! Let's her brother does the same )! I decided to go with the Original Baby Photo cards to capture our baby boy's milestones and couldn't wait to try them out! Each set comes in a sturdy small box, roughly the same size as a standard postcard! 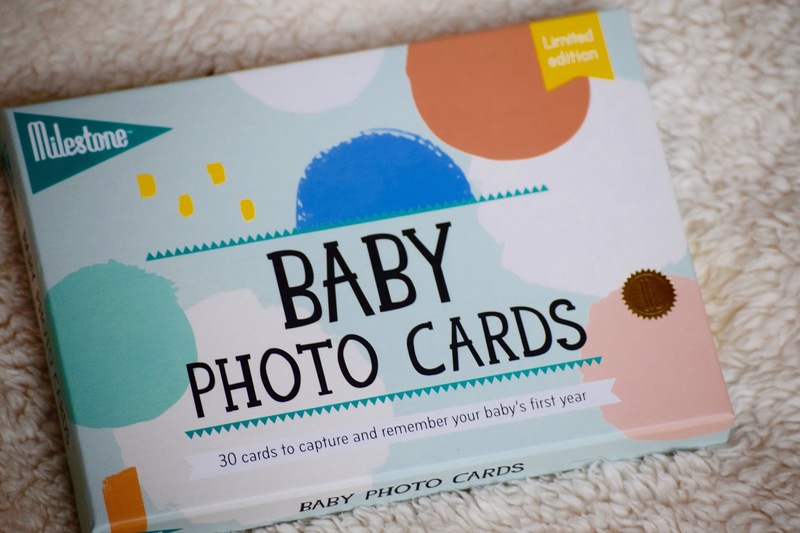 It has 30 cards for you to use to capture your child's progress, even adding a blank card for you to create your own milestone. What I really love about this is not just the adorable pictures, but there's a place on the back to put the date to ensure that you never forget when that occurred. 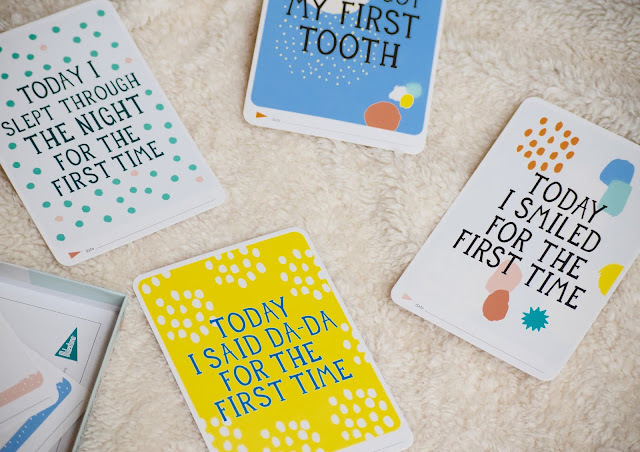 The cards are $12.99 and are the perfect gift for a baby shower or new parents! Milestone Baby cards aren't just for babies though! They have a range of various cards for you to pick such as Activity Cards, Wedding Cards or Toddler cards! You can see the full range of them here. I also really appreciate that the cards were thick and had great high quality illustrations and imagery to capture not just in person but on film. 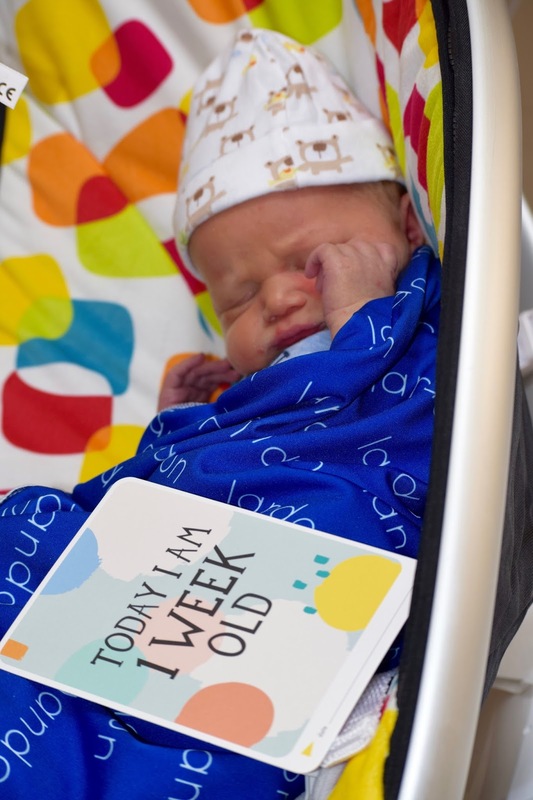 I loved documenting all these milestones, like the fact that he's already a WEEK old! These cards are perfect for us to make sure we don't forget the little moments in our son's life ( especially being number two and all ). Would you use Milestone Baby cards for documenting your child's milestones?